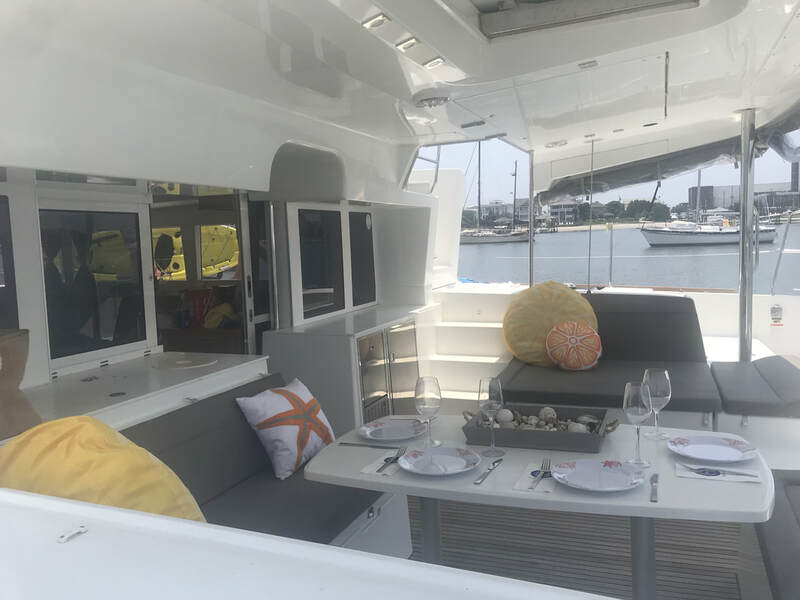 Just Catamarans is excited to announce the sale of an almost new Lagoon 450F Catamaran built in 2016. 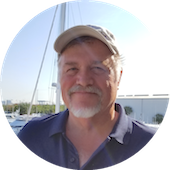 KNEE DEEP was sold by Just Catamarans broker Larry Shaffer who represented the Buyer. 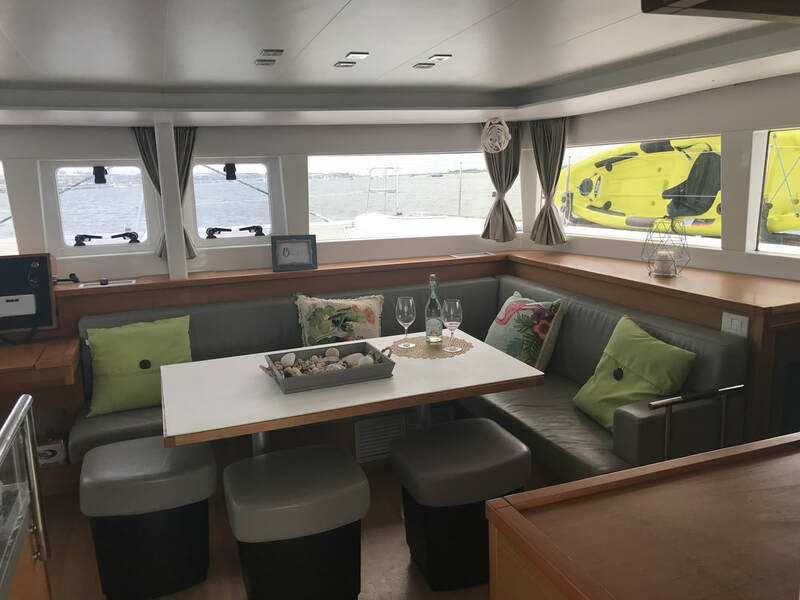 KNEE DEEP is a 4-cabin 4-head cruising Catamaran designed by VPLP (Van Peteghem-Lauriot Prevost) architects with upgraded Yanmar 57 hp Common Rail Engines. KNEE DEEP also has custom upgrades to include: Full-Size Hard Top Bimini with walking bridge and ladder for easy mainsail access, custom gas BB-Q mount, SS ice maker and large fridge unit in the aft cockpit and custom countertop covers for the Galley and Salon. This is the 2nd Lagoon 450 sold in the last two months by Just Catamarans. Lying in the Key Largo, FL – KNEE DEEP was listed for sale at $599,000.